England defeated Venezuela 1-0 to win the Under-20 World Cup against all odds. It is the biggest achievement for the country in the international stage since the 1966 World Cup win. The youngsters all chipped efforts to make the tournament a big victory. 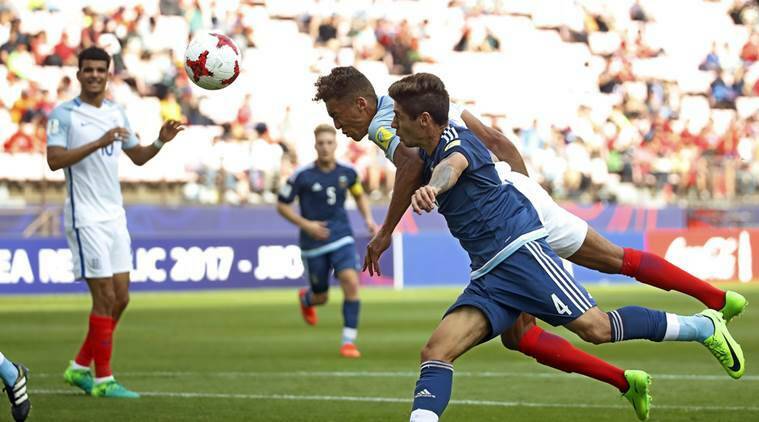 Toffees youngster Dominic Calvert-Lewin scored a first half goal and the keeper Freddie Woodman saved a penalty in the second half to deliver the title over the South American side. Malaga forward AdalbertoPenaranda was fouled by Kyle Walkers-Peters in the box. It was just 17 minutes from glory for the Young Lions and it was a game changer. Newcastle goalie Woodman remained calm as he denied the Malaga player from equalizing. Woodman was earlier beaten by Ronaldo Lucena but his long range free kick hit the framework. After the 15 minutes break, Josh Onomah sent an effort that hit the bar. Woodman’s slight contact was enough to parry the ball to safety, keep the scoreline the same and earn him the Golden Glove. Dominic Solankewon the Golden Ball award. Winners of the same award are Lionel Messi, Paul Pogba and Sergio Aguero. The tournament is the biggest platform in world youth football. Many young players have developed into the biggest personalities in the game on and off the field. Solanke is set to join the Reds after agreeing a deal. The youth team have been praised for their effort, with many hoping they become the next golden generation of English football. Six players from the squad played in the Under-17 continental tournament so there is a push that they are kept together to grow into something more exceptional. For now, the team continues to receive congratulatory messages from all over.